My husband and I had been feeling the need for a short break from our daily routines and finally, we were able to accomplish it this weekend. We found a castle from the 13th-century in Umbria to spend the night in and coincidentally, it was also the last day of the Eurochocolate Show in Perugia. It was the chance to recharge our batteries, to enjoy the Umbrian sites again and to taste the region's exemplary cuisine. We have already been to this region a few times in the past but we never really got to slow down and enjoy what was surrounding us. The third or fourth time around made better impact on us. 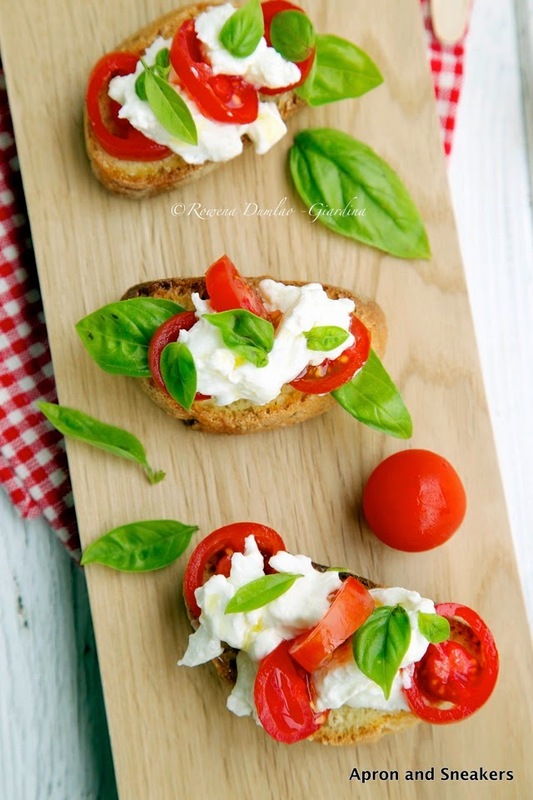 Like with most Italian dishes, simplicity is foremost. What we ate and what I learned about the Umbrian cooking from the Umbrians themselves is like how most of the country's cuisine is. Simple and straightforward, using very good ingredients. I even had one of the most delicious pasta dishes in a restaurant - a simple spaghetti al pomodoro (spaghetti with tomatoes) using just fresh tomatoes as the sauce. It's so good that the more elaborate dishes just paled in comparison. This recipe I am sharing in this post is so easy to prepare but gives you maximum results in goodness. 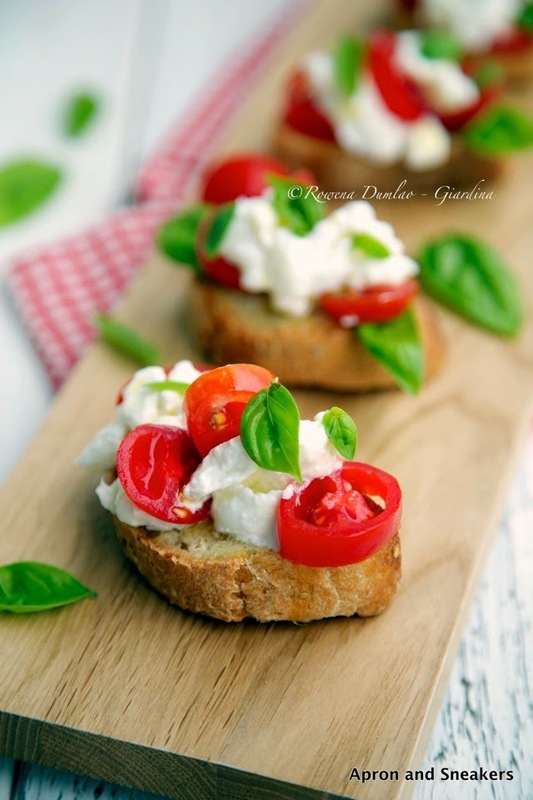 But I only say that when you use ingredients with good quality like if the tomatoes are sweet and tasty, if the basil is very fragrant (homegrown), the bread is fresh, the extra virgin olive oil is pure and the stracciatella came from a good producer in Puglia made with buffalo milk. Stracciatella is a mixture of mozzarella made with buffalo milk and cream. It's precisely what is inside the burrata. 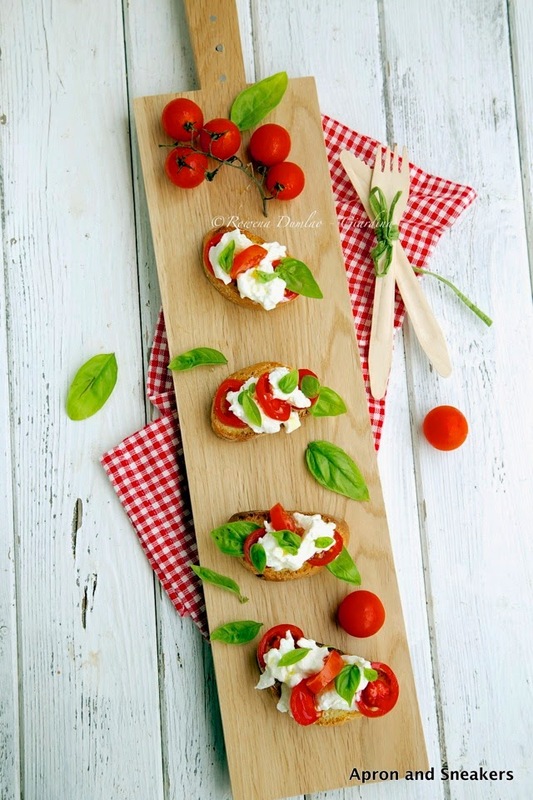 Burrata is another kind of cheese originating in Puglia with pure mozzarella as the outer coating and the stracciatella as the filling. Toast the bread on a barbecue grill, a griddle or an oven toaster. Drizzle one side with extra virgin olive oil. Spoon some stracciatella on the bread. Distribute the tomatoes and basil on top.